Catarat surgery may be postponed or prevented by eating a healthy diet. A healthy diet that provides good nutrition for healthy eyes includes five to nine servings of fruits and vegetables every day, at least three servings of 100 percent whole grains each day and two servings of fish each week. Age-related cataract is a leading cause of blindness in the world today. Currently, the the only treatment for cataracts is surgical removal of the cloudy lens, which typically is then replaced with an intraocular lens (IOL) during the cataract surgery. While the exact cause of cataracts is unknown, experts believe that oxidative stress damages certain enzymes and proteins in the eye’s natural lens, which causes the lens to become cloudy. And though some research has produced conflicting results, eating a healthy diet rich in anti-oxidants and certain vitamins has been shown in several studies to be associated with a reduced risk of cataracts or their progression. Oxidative stress results when there is an imbalance between damaging free radicals roaming the body and the antioxidants that keep them in check. Free radicals are atoms or groups of atoms (molecules) that are highly reactive with other atoms and molecules because they have unpaired elections. In the eye, oxidation affects proteins and fats in the lens to the extent that the lens becomes damaged and cloudy, creating a cataract. Preventing free radical damage with healthy foods , particularly those containing antioxidants, may help slow down this process. Free radicals that damage our eyes and the rest of the body may originate from eating unhealthy foods, exposure to pollution or chemicals, smoking and ultraviolet radiation. Some free radicals occur from normally daily metabolism, which means even people who don’t have these risk factors need antioxidants found in healthy foods. People who consistently follow a healthy diet that includes colorful fruits, vegetables and whole grains may show a decreased risk of cataracts. Antioxidant vitamins and phytochemicals found in fruits and vegetables that may reduce the risk of cataracts include vitamins A, C, and E, lutein and zeaxanthin. However, other studies have failed to show an association between nutritional supplements and reduced risk of cataracts. 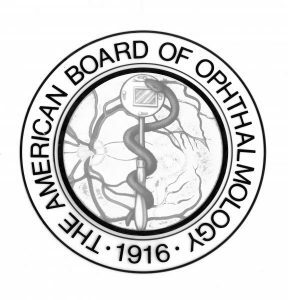 In two long-term Age-Related Eye Disease studies (AREDS and AREDS2) sponsored by the National Eye Institute, neither study found use of daily multi-vitimin supplements containing vitamin C, vitamin E and zinc (with or without beta-carotene, lutein and zeaxanthin, and omega -3 fatty acids) prevented or slowed the progression of cataracts. And while all nutrients, antioxidants and phytochemical associated with cataract prevention in studies can be found in eye vitamins and vision supplements, many experts believe these substances should be acquired from a healthy diet rather than nutritional supplements. But if you are like most Americans, it’s likely that your diet lacks key nutrients because you’re not eating enough fruits and vegetables. Therefore, it’s wise to consider taking one or more daily nutritional supplements to make sure you are getting all the nutrients you need for optimum eye health. Dark green and colorful fruits and vegetables are great sources of eye-friendly antioxidants. They also contain folic acid and calcium – important nutrients which also may help reduce the risk of cataracts and should be included in a healthy diet. To maintain a healthy diet, it is equally important to avoid fried foods, processed foods and sugary snacks and soft drinks – all of which appear to be associated with increased risk of cataracts, as well as obesity and other health problems. Giving up greasy fast food, chips, sugary snacks and soft drinks may not be easy. But it’s worth it. Once you get used to eating delicious fruits and vegetables, fresh fruit and other healthy foods, you won’t miss junk foods. And your reward just might be both a healthy body and a lifetime of good vision. When taking steps to reduce your risk of cataracts, it’s important to know that dietary modifications alone are not enough. It’s also important to shield your eyes from the primary source of harmful UV radiation: the sun. In addition to wearing wide-brimmed hat that shades your eyes from direct sunlight, consider these UV-protective eyewear choices. For the best choices in frame styles for UV-protective eyewear, ask your optician for guidance. 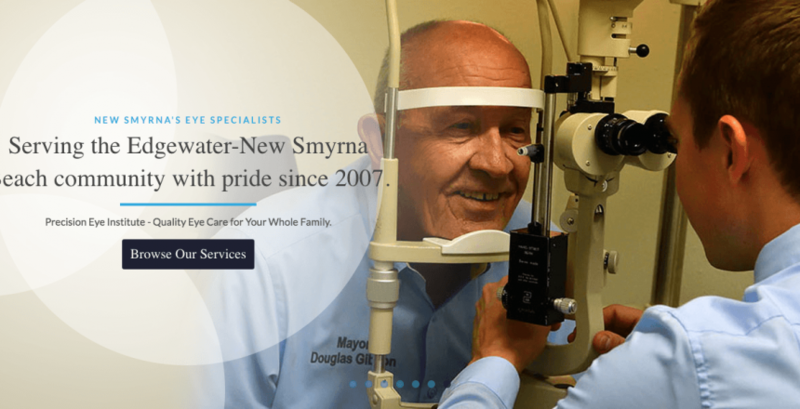 In the New Smyrna Beach and Edgewater area please contact Precision Eye with offices in both cities. We can also discuss cataract surgery as it may be the only option in many cases.